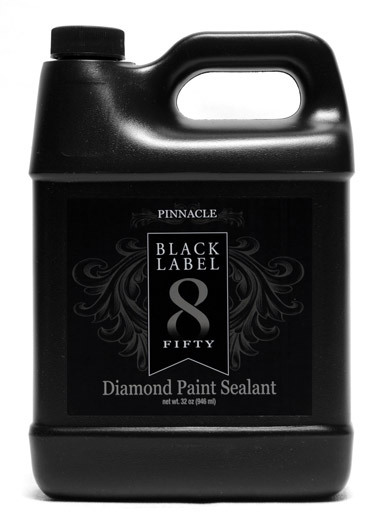 Home > Shop by Brand > Pinnacle Natural Brilliance > Pinnacle Black Label Collection > Pinnacle Black Label Diamond Paint Sealant 32 oz. I'm sure this is the best sealant of all the sealants I used such as DGPS 3.0, Jetseal, rejex. So much shine and gloss, just buy it! Ive used a lot of great sealants: Wolfgang, Blackfire, M21, etc. this is the best. It has a sharp, glassy look in sunlight, but then a liquidy, smooth look when in shadows or night time. It also resists dust as well or better than anything Ive used. I put it on both my cars this spring while pollen was still hanging around and was very pleased with how clean it has stayed between washes. Water beading is awesome. Again, one of the best. A little goes a long way, less than half ounce per midsize sedan. Buffing it off is effortless. I dont have durability experience yet but I plan to let this go until late fall. If it holds up, its hands down my favorite sealant. ProsEase of application, appearance, beading, self-cleaning. ConsNone. Those who worry about price, you should easily be able to get 20+ applications out of 8 ounces, just spread this.